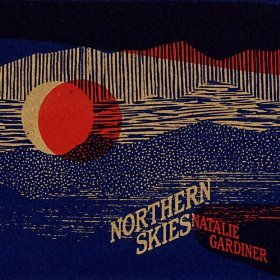 I spent a number of delightful hours caressed by the aural touch of Natalie Gardiner’s pithy lyrics of life. Although her work has the emotional impact of a laser-guided sledgehammer, subtly is her middle name. We don’t swig and swallow her brew, Natalie’s is a smooth elixir designed to be slow sipped and savored. At first, or even on a second listen, her songs may not seem fully developed. Some are only a phrase or two long. The melodies are short, simple sequences oscillating within a very small sonic range. You don’t have to be a trained vocalist to sing along—except somehow our normal voices don’t match the depth of her expressiveness. I’ve thought about Natalie’s magic. Born of a father from Ghana and a mother from Sweden, Natalie is a deep blues singer who did not grow up in a traditional blues culture and does not sound like what we mostly think of when someone says blues. But if you listen to Natalie’s themes, most of the time she is talking about loss—missed moments in emotionally broken lives: revealing the realities when the light has faded, sweetness has soured, unforgettable times have contracted into blurred and indistinct memories. Listen closely and you can tell she is flying the flag of the survivor, the person who has spent a lifetime wading through the muck of disappointment, swimming against the tide of reoccurring unconsummated relationships; nevertheless she manages and celebrates life. She glories in carrying on; her themes may be of loss and loneliness but ultimately this is triumphant, optimistic music. There are only three albums here. The eponymous debut album is the most heavily electronic. Her vocals are enticing and in distinct contrast to the electronics and beats, which seem cold next to the breathy warmth of her voice abetted by an acoustic guitar. The oddly named California (odd because she has no obvious connection) is a gorgeous album, especially considering that it is the dreaded sophomore album. Matching, not to mention superseding, the debut album is usually a difficult feat. Natalie easily clears the bar not just in her individual performance but in overall conception and production. On California, instead of sticking with a fifty/fifty vocals/electronic direction, Natalie offers us multi-tracks of her voice arranged the way the bulk of today’s artists employ electronic keyboards and horns. The effect is stunning. 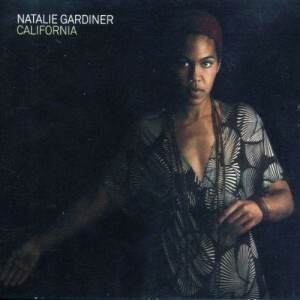 California is a stylistic advance for Ms Gardiner on which the musical accompaniment is minimized to the point that the sounds resemble hand-percussion augmented by atmospheric chords and discrete, instrumental filigrees of decorative aural ribbons. 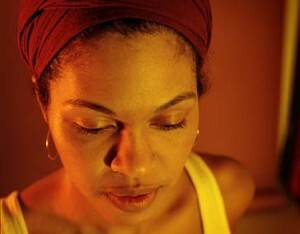 Throughout the emphasis is on the beauty of Ms Gardiner’s enchanting voice. On one song, “Let’s Not Worry About Tomorrow,” horns are employed to stunning effect. Then there is the third album, Northern Skies, that sounds as though it was recorded with a hidden microphone in the silence of a sad and lonely room where two usually rested but now one solitary figure moans to herself while caressing an old piano. Again, the overall sound might be subdued but this is not the sound of surrender. A diary of pain yes but at the conclusion comes “This Too Shall Pass,” a song that lets us know that Natalie is swimming, not drowning. You know those marvelous miniature model ships built in a bottle, Natalie’s music is like those tiny vessels: exquisitely detailed, expertly painted, amazingly constructed in a constricted place. Not many singers would dare offer such naked music as these songs are. 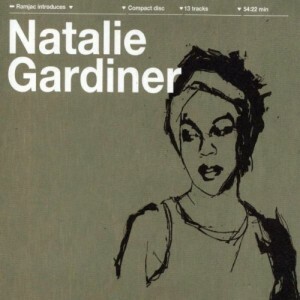 Thank you Natalie Gardiner for this gift of quietly beautiful music.